Perfect for patios or indoors. Loves the sun. 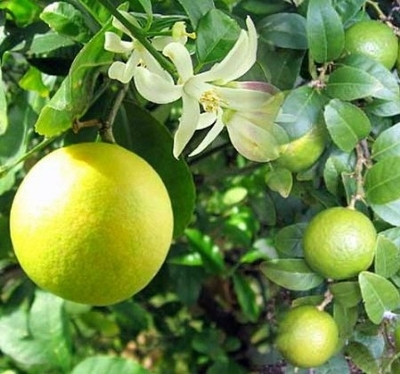 Sweetest of all Lemons + Key Limes Can remain outside with temperatures above 40 degrees F. Citrus Trees cannot be shipped into citrus producing States within the U.S.A. These States are Texas, Florida, Arizona and California. Size shipped: Growing in 8" pot, about 12''-18" tall. Fruiting size. Please allow 2-3 weeks for shipping of this tree. e cannot ship citrus to; American Samoa, Arizona, California, Florida, Guam, Hawaii, Lousiana, Northern Mariana Islands, Puerto Rico, Texas, Virgin Islands as per USDA Regulations.